What does it mean to be Native American today? To answer this question, filmmaker Kayla Briët explores her Prairie Band Potawatomi roots through the teachings of her father, Gary Wis-ki-ge-amatyuk. This hypnotic and introspective short film captures part of her childhood and confronts the fear of her cultural identity fading with time. Weaving together the history, language, dance, and music of her tribe, Kayla Briët's Smoke That Travels keeps her family's heritage alive and celebrates the beauty of culture. The Short Film Showcase spotlights exceptional short videos created by filmmakers from around the web and selected by National Geographic editors. We look for work that affirms National Geographic's belief in the power of science, exploration, and storytelling to change the world. The filmmakers created the content presented, and the opinions expressed are their own, not those of National Geographic Partners. "What a long journey it's been. 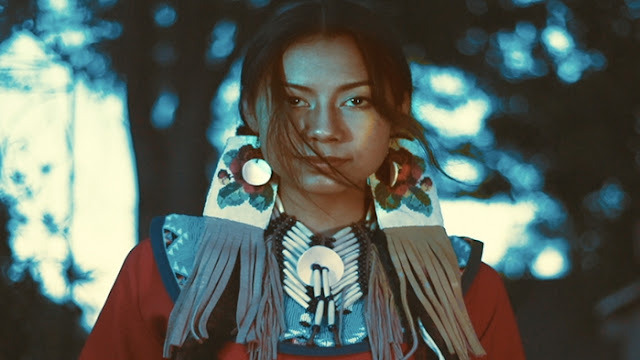 I started this film at 17, because I had a fear that part of my identity, my native Prairie Band Potawatomi heritage, would be inevitably lost in time. Through music, dance, and color, I'm inviting others to become immersed in the thoughts, histories, and emotions I grew up with." "Little did I know that this film would take me on a journey for over a year. I got to meet indigenous communities from around the world - from the Sami of Scandinavia, Ainu of Japan, and many more - who were all dealing with the same struggle to preserve their language and culture. I felt so lucky to hear their stories and less alone." Responses to "She Fears Her Tribe's Story Will Be Forgotten (Movie)"